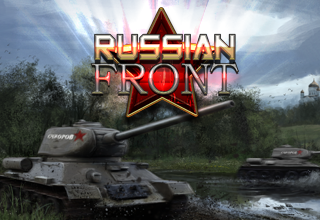 Russian Front is our most ambitious strategy game yet, an operational-level game with a wider scope than any of our previous titles. The battle for the Russian Front was a pivotal moment in World War 2, and this game gives it the scale it deserves. “The interface is just so clean, intuitive and functional that I was able to get past the learning curve in no time at all, and get right down to the business of developing tactics to beat the game.” – Mark D., Grognard.com “Passed Inspection: Low price, Good AI, good depth of play” – Armchair General (Review score: 91%) Experience grand strategy across the entire theatre of the Eastern Front; the military conflict that many consider to be the iconic attacker/defender scenario. 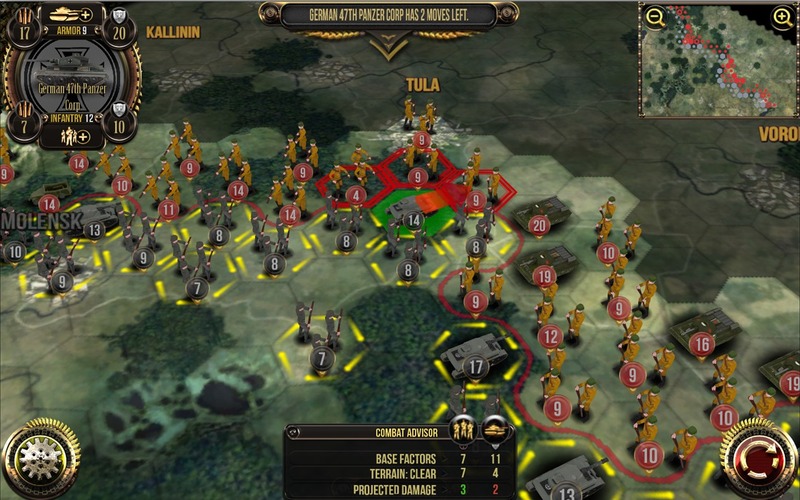 Command massive armies at your fingertips, in this fully 3D turn-based simulation of one of the largest military campaigns in history, playable as both Germans and Russians. 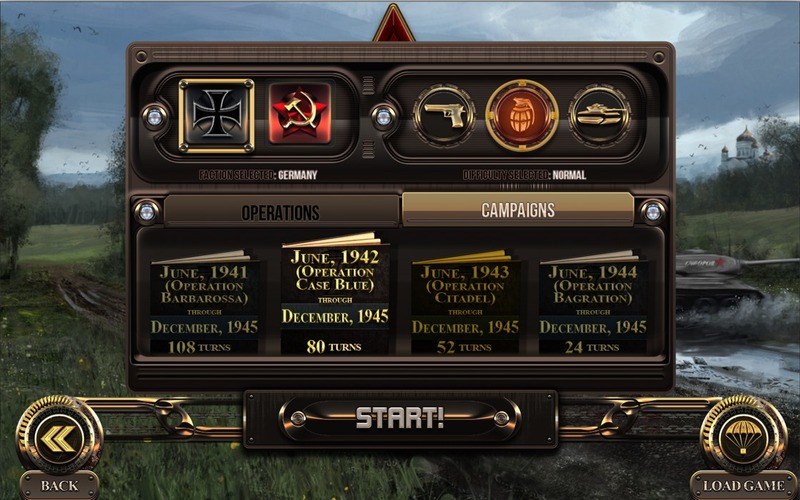 Start in the early days of Operation Barbarossa and follow the German invasion of Russia through to its ultimate failure. Or start later in the war and jump straight into the Russian counter push to Berlin. 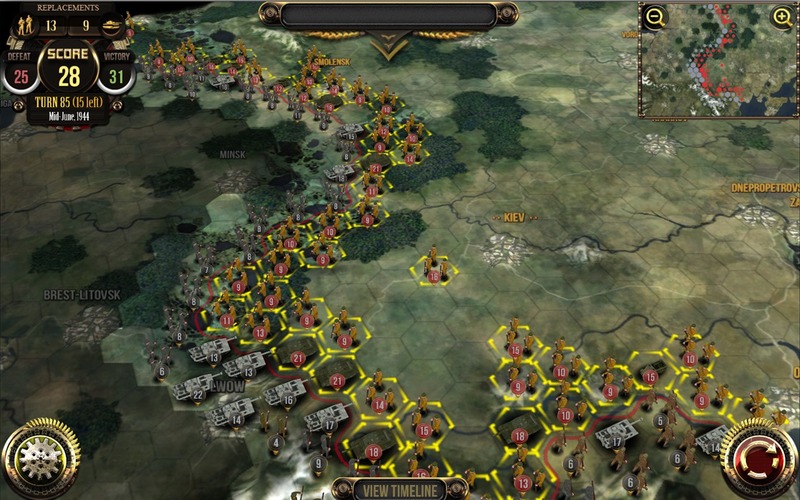 A massive 108 turn campaign will take you from the opening stages to a final, overwhelming Russian offensive. Four shorter Operations, spanning 16 turns each, take place from June to December of each year and offer a more condensed experience. 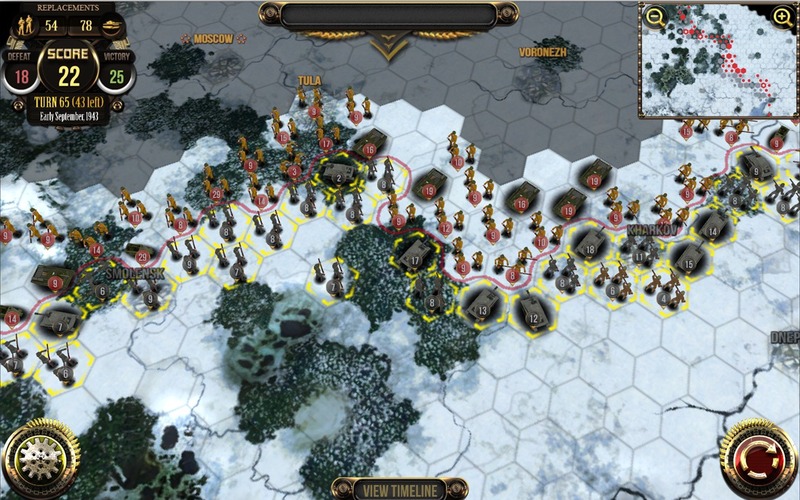 The bitter weather on the Eastern Front was as much a danger as the opposing forces, and the game reflects this with a seasonal cycle that has a profound effect on your tactics as you struggle to hold out through the vicious Winter until reinforcements arrive in Summer. Players must also deal with fog of war effects, and will be able to cut off their opponent’s supply lines, while making sure their own stay secure.